A man out for a walk came across a little boy pulling his cat's tail. 'Hey you!' 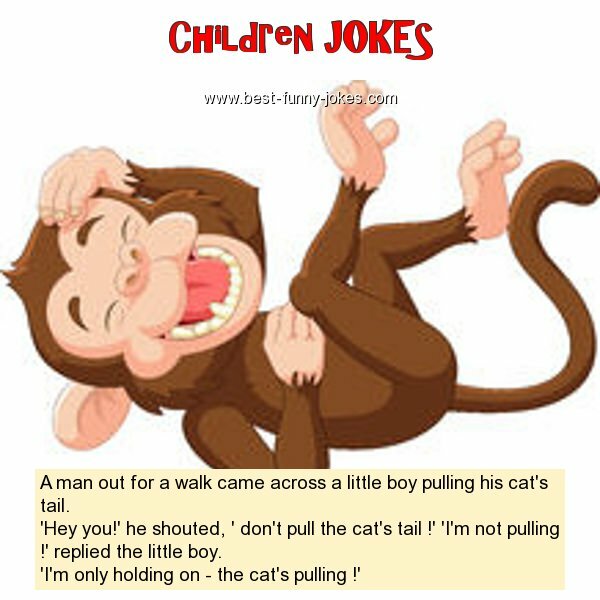 he shouted, ' don't pull the cat's tail !' 'I'm not pulling !' replied the little boy.